Launched in 2005 the multi award winning Jetline Cruise is one of the UK’s leading independent cruise operators having booked the cruises of over 250,000 UK customers since it’s launch. Jetline Cruise is all about offering a huge range of bespoke and exclusively built Cruise holidays which are unique to the UK market. These bucket list esq cruise holidays are guaranteed to give you that once in a lifetime experience. Having a long standing relationship with all of the major cruise lines Jetline Cruise is able to offer its bespoke cruise holiday selection to every area of the World with any cruise line so you are sure to find the perfect match for your holiday requirements. At Jetline Cruise our product team are dedicated to creating unique Cruise experiences that differ from the rest of the market and ensuring that our customers have cruise holidays that they will never forget. Our specialist cruise teams have decades of experience of working with cruise lines, hotels, airlines and destinations so we are guaranteed to provide you with all the information you require for that perfect holiday experience. Customer satisfaction is our priority in all that we do and we ensure that every customers journey no matter how unique benefits from our high level of customer support from the time of enquiry to your return home. Jetline Cruise has been nominated and won many industry awards since its launch including individual recognition awards from cruise lines including Cunard, Holland America, MSC, Norwegian Cruises and many more. Jetline Cruise has also won excellence in product and sales awards from cruise lines, airlines and the luxury train operator Rocky Mountaineer. Jetline Cruise has for several years created an exclusive monthly cruise magazine called Cruise Ahoy which is enjoyed and read by over 100,000 of our customers each month. Click here to see Cruise Ahoy for yourself. 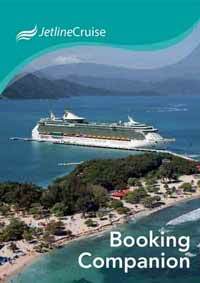 Jetline Cruise are members of ABTA (J1693), fully ATOL bonded (6153) and members of CLIA. This means that your booking with us is 100% financially protected for your piece of mind. Call us Today or check out our monthly cruise magazine featuring lots of our amazing cruise holidays and see why we are one of the UKs most trusted and favourite cruise agencies.